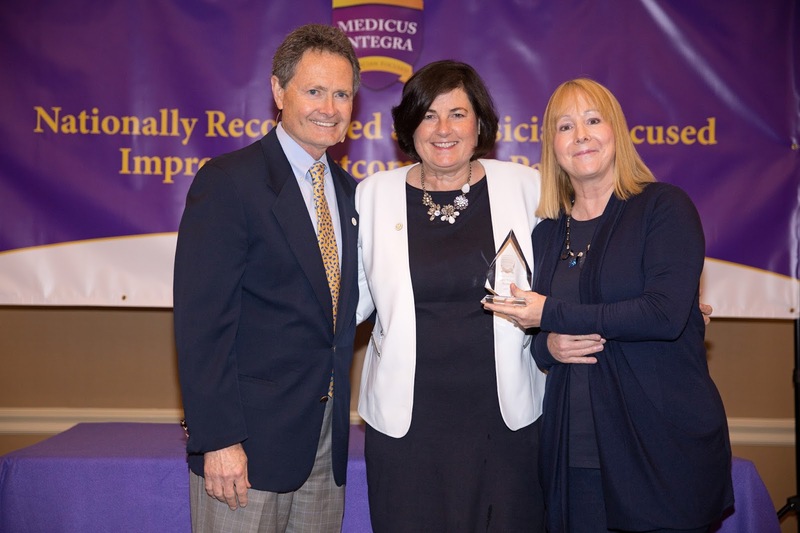 Park Ridge Health is honored to be recognized as a recipient of the Medicus Integra© Award. This award is a new designation that recognizes health care organizations for employing a physician-focused approach to promote and ensure physician well-being and engagement. In April, 2015, the Coalition for Physician Well-Being, an alliance of hospitals and health care systems dedicated to physician wholeness, established the Medicus Integra© award. The award focuses on four key areas of institutional programming: Physician Resilience, Learning Environment, Business & Quality, and Culture. “We know balanced, healthy, fulfilled physicians are more likely to communicate and collaborate effectively with patients and staff, demonstrate care and compassion, and experience better outcomes. I believe that if given a choice, most of us would prefer to go to, or work for, a health care organization that prioritizes physician well-being,” said Ted Hamilton, MD, Coalition for Physician Well-Being Board Chair. The Medicus Integra© award documents evidence of an established, comprehensive, institutional approach to physician well-being and signifies organizational engagement and improvement in key metrics and outcomes over time. At the Coalition’s annual conference in June, it awarded three sites: Park Ridge Health, St. Vincent Medical Group, and Shawnee Mission Health. Organizations interested in applying for future consideration can find more information at the Coalition for Physician Well-Being website, forphysicianwellbeing.org.